According to the SynagogueScribes.com website, “The Western Synagogue was established in 1761, if not earlier. The congregation met at the house of Wolf Liepman in Great Pulteney street. In around 1765 a room was hired in Back alley, Denmark Court, Strand and moved to Dibdin’s Theatre, Sans Souci in Denmark Court in 1797. A break away congregation was formed in 1810 which became Maiden Lane Synagogue. Maiden Lane later re-joined the Western Synagogue. 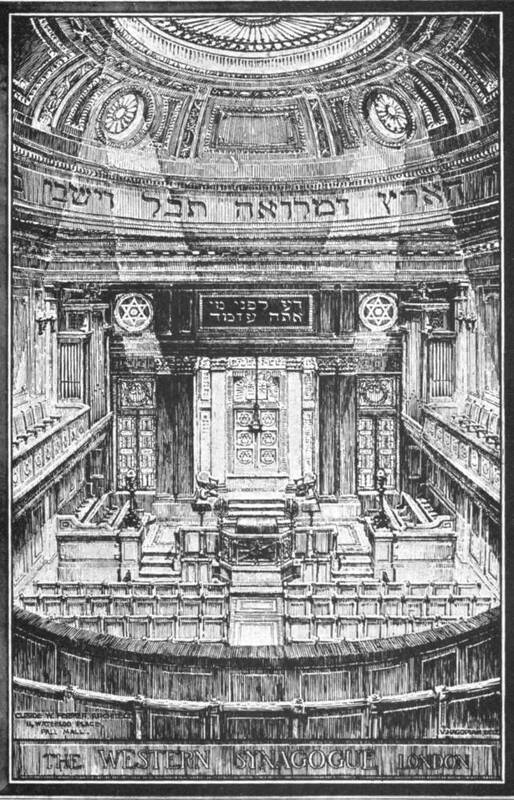 In 1826 the Western Synagogue moved to St Alban’s Place, Haymarket.” The site also reproduces Consecration of The Jewish Synagogue St Albans Place, a wood engraving from the 19 April 1851 Illustrated London News. (Thanks to Jacqueline Banerjee for find the material on SynagogueScribes.com. Academy Architecture and Architectural Review. Ed. Alexander Koch. 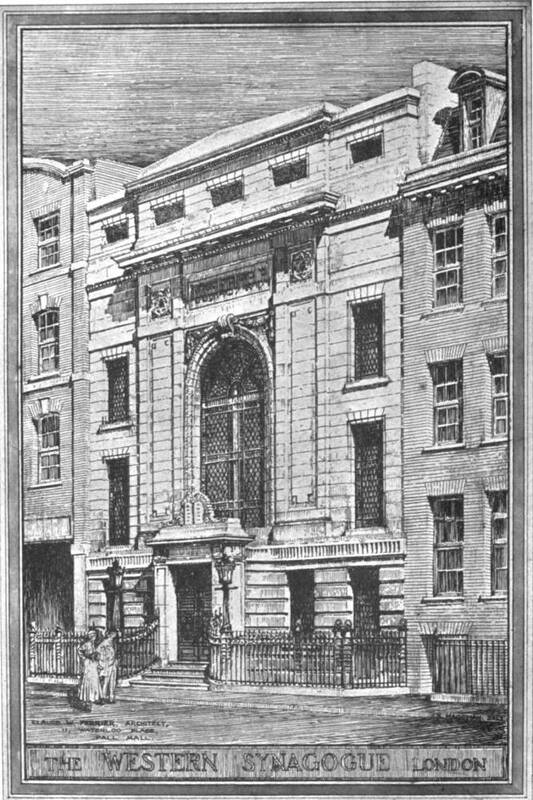 London: Academy Architecture, 1909. Internet Archive copy from University of Michigan Libraries. Web. 21 September 2017. “Western Synagogue.” SynagogueScribes.com. Web. 23 September 2017.